Remember the blue light craze recently associated with cell phones? Screen protectors were designed to prevent harm to users. Apple even recently introduced new color settings for iOS specifically for the evening hours. All this is to address digital eye strain or computer vision syndrome – yes, it’s a real condition. Well Felix Gray, founded by David Rogers and Chris Benedict, has taken it one step further and has now introduced fashionable glasses that mitigate the effects of the dreaded blue light as well as glare. 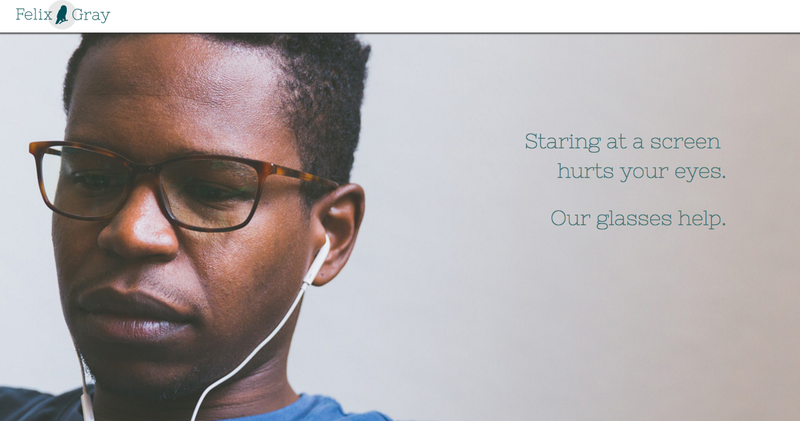 This company just may be the blue light-friendly version of Warby Parker.